Does the WSOP Need a Commish? As I’m sure most of you have heard by now, a delay was indeed granted for compliance with the finalized regulations of the Unlawful Internet Gambling Enforcement Act of 2006, meaning U.S. banks and other financial institutions will not be required to block transactions with online gambling sites until June 1, 2010. Doesn’t mean they cannot block such transactions already -- they have been able to do that since January 19, 2009, in fact -- but doing so is still not mandatory. So another six months to see if any other legislation might get moved along here. Will be keeping an eye on that hearing scheduled for Thursday, December 3 at 10:00 a.m., the one where the House Financial Services Committee will be discussing Rep. Barney Frank’s two bills -- one to make the UIGEA delay a full year, and the other to introduce a mechanism with which to regulate online gambling in this country. The delay is terrific news, in my view, and while regulation isn’t necessarily desirable -- particularly if certain states, namely my own, opt out -- it doesn’t look as bad as a world in which the UIGEA has been fully implemented. Indeed, the misbegotten law has already done significant damage in the poker world, negatively affecting both online and live poker as well as the various industries associated with both. 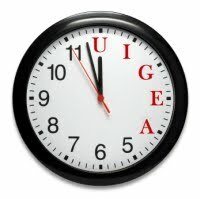 Sure, the UIGEA has certainly provided me with a lot to write about here at Hard-Boiled Poker over the last three-plus years, but the overall effect of the law has been exceedingly negative. Will be glad to see the sucker taken care of once and for all. Speaking of the “UIGEA era,” I was thinking again over the weekend about the World Series of Poker and how a little over two weeks ago, Jeffrey Pollack stepped down from his post as the first-ever WSOP Commissioner. Since Pollack’s resignation, a few folks have written further about how he’ll be remembered, and indeed, one aspect of his tenure as Commish will be how it mostly coincided with this awful law that single-handedly slowed down what appeared at the time to be unstoppable growth for the Series. In “The Pollack Legacy: The Good, the Bad, and the Silly,” Amy Calistri does a good job compiling various moments of significance during Pollack’s time with the WSOP. 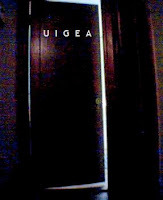 In her discussion, Calistri notes how “After the UIGEA, people were ready to stick a fork in poker,” and how she and others all “argued that the UIGEA would accelerate the end of the poker boom.” However, the WSOP rebounded from the hit, and Pollack’s contribution to that recovery was certainly, as Calistri says, a “significant accomplishment” for which he’ll be remembered. T.J. Cloutier also wrote a little something about Pollack last week, a piece titled “Poker Has Lost a Good Man.” In his article, Cloutier talks a bit about how Harrah’s apparently created “a position one level above” Pollack’s, someone who would henceforth “be a buffer between [Pollack] and top management,” and speculates about whether that bit of reorganization might have provided a kind of encouragement for Pollack to step down. Cloutier, who served as a member of the Players Advisory Council (a Pollack creation), notes that while Pollack always “had to answer to corporate management,” in his view “he was pretty much in control of the World Series.” The implication, then, is that given a situation in which the Commissioner no longer enjoyed such control, Pollack chose to move on. 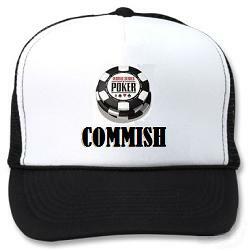 Not sure what the hierarchy really is at present, but the fact that soon after Pollack’s resignation Harrah’s stated it has “no intention at this time to replace the Commissioner role” does suggest the corporation feels that moving forward the operational management of the WSOP can continue without any Commish appearing to guide the ship. Does the WSOP need a Commissioner? It did, after all, make it 35 years without one. While not everyone was always happy with Pollack, the consensus seems to be mostly favorable regarding his legacy, and the fact that it seems difficult to imagine a replacement is probably further evidence of his having served a successful term in the position. I agree with Trask that it is probably a mistake to move forward without having someone acting as WSOP Commissioner, although I cannot easily imagine who would be the person to fill that politically-challenging role. 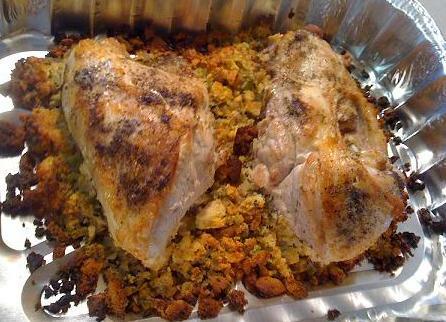 I hope everyone had a great Turkey Day. I know I did. A fun day of family, food, and football. Vera Valmore did a terrific job with the bird this year. I snapped that photo mere moments before the massacre began. Was great catching up with family. Was also nice to go three-for-three with my NFL picks, giving More Cowbell some much-needed momentum heading into the weekend. Will be keeping an ear out today, of course, for the official word regarding that six-month delay for banks to comply with the so-called “Final Rule” of the Unlawful Internet Gambling Enforcement Act of 2006. I assume we’ll probably be hearing something about it over at the Poker Players Alliance website, as they will surely be coming forth with a response once the news is official. Meanwhile, since I am thinkin’ very few are gonna be checking in on blogs today, I think I’ll keep it short and continue to enjoy some R & R.
If you are in a reading mood, though, I do have a new piece up over on Betfair this morning, titled “Isildur1, and the Search for the Biggest Game Around.” Tried to place Isildur1 in an historical context and talk about some other famous examples of folks looking to take on the best players at the highest stakes -- people like Nick “the Greek” Dandalos, Jimmy Chagra, Andy Beal, and a couple of others. By the way, next week I will be reviewing Doyle Brunson’s new autobiography, The Godfather of Poker for Betfair. Already moving through it fairly quickly -- a great read. Think I’ll go grab myself a slice of that pumpkin pie. Whew. Like that turkey, named “Courage,” who yesterday received a last-minute “pardon” from President Obama sparing him from a dinner table, it looks like we online poker players in the U.S. have also been granted a reprieve. For a while, anyhow. It’s Thanksgiving, and if yr like me you have a lot else going on today than to be checking in on yr poker blogs. But I did want to note the big news yesterday before going back into the kitchen to help Vera with that awesome feast she’s preparing for the big crowd a-comin’ a little later. There was no official announcement yesterday, but apparently there will be a six-month delay before banks and other institutions will be made to comply with the finalized regulations of the Unlawful Internet Gambling Enforcement Act of 2006. As I mentioned yesterday, the Engineer was saying he’d heard as much over on the Two Plus Two forums. We also heard during the day from Joe Brennan, the chairman of the Interactive Media Entertainment and Gaming Association, who said an announcement by Timothy Geithner, Secretary of the Treasury, would be coming on Friday. That would make June 1, 2010 the new deadline. The delay would add extra urgency to the hearing of the House Financial Services Committee scheduled next Thursday, December 3 at 10:00 a.m. to discuss both of Rep. Barney Frank’s bills, the Reasonable Prudence in Regulation Act (H.R. 2266) and the Internet Gambling Regulation, Consumer Protection, and Enforcement Act (H.R. 2267). If you recall, the Reasonable Prudence in Regulation Act is a very brief bill simply asking the feds for a one-year delay. Not sure what the status of this would be if a six-month delay were already in place, but the added delay could still be entertained, I suppose. This H.R. 2266 actually has 53 co-sponsors at present, which suggests some real support for the idea of holding off on making UIGEA compliance mandatory. The other bill, the Internet Gambling, Regulation, Consumer Protection, and Enforcement Act, is Frank’s second go at comprehensive legislation designed to regulate (and tax, natch) online poker in the U.S. (following his earlier, failed IGREA bill from 2007). That one is now up to 63 co-sponsors, so there appears to be a bit of a groundswell there, too, as far as getting it to a House vote. My initial reaction is to be ecstatic about the still-not-official-but-seemingly-gonna-happen announcement of a delay. Not just for the sake of folks being able to continue playing online poker, but for the rest of the industry, too -- including the media side of things, in which I now have more than a little bit of an investment. 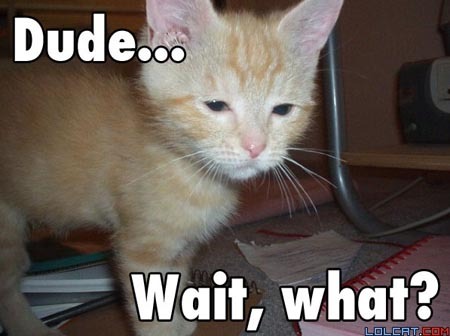 My second reaction considers what may come next. It appears this idea of regulation -- the prospect of which doesn’t thrill all of us -- may well happen, and possibly sooner than later. While many of us would like the situation to remain as is, that doesn’t appear to be an option, really. Rather, we’re probably looking at one of two futures here. We could get to the end of these six months and the UIGEA’s “Final Rule” could still be implemented. Seems less likely today that would happen, but it could. Americans would start running into trouble processing transactions with online gambling sites, and eventually a case would go to court. Some have said the UIGEA wouldn’t hold up in that setting, but we’re talking months or years down the road -- and a lot of headaches -- before we got to that point. 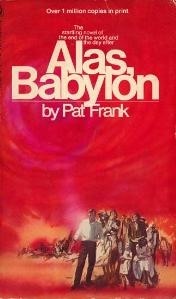 The other possible future appears to be some sort of regulation of online poker, such as suggested by Frank’s bill. Thursday’s hearing will tell us a lot, I think, regarding the chances of that happening. I’ve wondered aloud on here a couple of times about the question “Do We Really Want Online Poker Regulated?” While I’ve been less than enthusiastic about the idea of regulation, it is starting to look as though it might become more difficult to fight that fight going forward -- that is to say, it doesn’t look like we’re gonna be able to keep things the way they are. Stuff to ponder in between bites of turkey and cranberry sauce, I guess. And during the commercial breaks of today’s football marathon. Speaking of, I better head over to Pauly’s Pub to make my picks this morning. After four weeks of outpicking everyone, last week I was tied for last with just 9-of-16 correct -- including three or four heartbreaking last-minute losses -- thereby dropping me back into a tie for tenth. 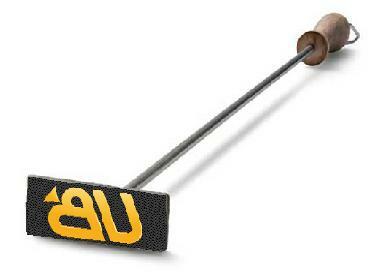 So my team, More Cowbell, needs to get things back on track starting today. For now, though, among the many things I am thankful for today, I am most certainly glad about the delay of compliance with them UIGEA regs. Have a great T-giving, peoples! Yesterday on the Two Plus Two forums, a question was asked about “how pivotal are the next 24 hours” when it comes to the possibility that compliance with the finalized regulations for the Unlawful Internet Gambling Enforcement Act of 2006 -- scheduled to begin next Tuesday, December 1 -- will be delayed. According to Rich “The Engineer” Muny, a member of the Board of Directors of the Poker Players Alliance, “If [the] Treasury decides to delay implementation of the bill, it could be announced tomorrow, or it could go to Monday just as easily.” Indeed, as Muny implies, since the Thanksgiving holiday is upon us, if we don’t hear anything today, then Monday is really the last chance. 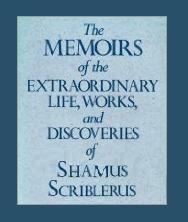 It is very difficult for the average shamus to detect the odds of a delay with any precision here. I’ve been reading the forums and other sites, and occasionally see expressions of optimism about the feds stepping in here and extend the deadline. But it is hard to tell from where such optimism comes. On November 20 (last Friday), an article titled “High Stakes for Online Gamblers” popped up over on the Newsweek blog regarding the impending deadline and the recent request for a delay. The article, by Jeremy Herb, makes reference to an unnamed “Federal Reserve official” saying that a decision regarding delaying compliance had yet to be made. That’s with just a week-and-a-half to go. Talk about a sweat. Herb’s article additionally provides a decent overview of the situation, including some background on how the UIGEA came to be and the problems that still exist for banks and other financial institutions with regard to implementation. 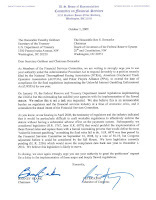 Herb references that October 1 letter from House Rep. Barney Frank (D-MA) and Rep. Peter King (R-NY) -- also signed by 17 other members of Congress -- asking the Department of Treasury and Federal Reserve “to extend the date of compliance for the final regulations implementing the Unlawful Internet Gambling Enforcement Act (UIGEA) by one year.” The feds do have the power to enact such a delay thanks to something called the Administrative Procedure Act. The most infuriating moment in their letter comes at the end when they characterize the delay request as “a blatant attempt to circumvent the democratic process.” O RLY? Let us think back to how the bill came to be passed by the House and Senate back on September 30, 2006 after being sneakily appended to the Security and Accountability For Every Port Act of 2006. There was zero discussion of the UIGEA part of the bill when the House and Senate hastily voted in favor of the SAFE Port Act in their final session of the 2006 Congress. Then President George W. Bush signed it into law two weeks later. Indeed, thanks in large part to then Senate Majority Leader Bill Frist (R-TN) and Sen. Kyl, their efforts represented as “blatant” an example of legislators working “to circumvent the democratic process” as it gets. 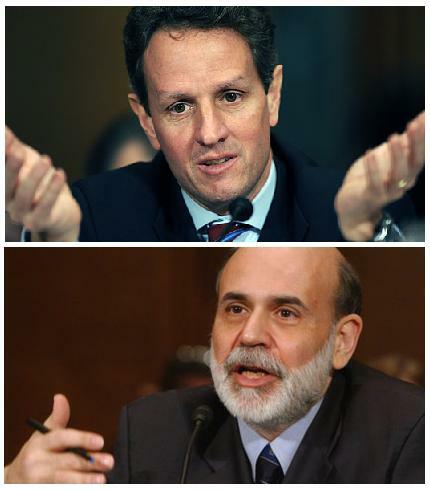 Bernanke is also facing a lot of opposition from Congress at the moment. President Obama has already nominated Bernanke for a second four-year term as Federal Reserve Chairman, but Congress has to approve the nomination, and it is expected that their approval -- if it comes -- will not be without a lot of strife. The first hearing on that matter is scheduled for next Thursday, December 3. So the guys who have to step in here and do something for us... well, one wonders how high a priority the UIGEA really is to them at the moment. It’s frustrating as hell. We took a big hit early on in this one, and have been playing with a short stack from the get-go. Now the blinds have finally caught up with us. We have to catch a hand to survive. Here’s hoping we do get the word today of a delay, and thus have something else to be thankful for tomorrow. There have been some other terrific (and informative!) comments having to do with various male enhancers, really awesome programs that are the best on the net, and World of Warcraft. Great to get feedback! I do want to thank Anonymous for taking the time. Meanwhile, when not spending time trying to contain all of the spammage over in Comment Moderation, I’ve been doing some other scribblin’. On Friday of last week I had a new piece over on the Betfair site with the long title “The Yanks and the Banks: The UIGEA and the Future of Online Poker in the U.S.” Hard to believe the Unlawful Internet Gambling Enforcement Act of 2006 has been with us for over three years now. And that I’ve been writing about it that long, too. In the Betfair piece I tried to give a brief history of the UIGEA, talking about its surreptitious passage by the House and Senate that fateful September night, Bush signing the sucker into law, the various machinations surrounding the writing of the regulations and their finalization, then the Bush administration at last implementing the law with its final regs on the last full day of his presidency. I conclude with a bit of speculation about what might happen on December 1 when the banks and other “designated payment systems” are made to comply with the law or face stiff penalties. It sounds like some (most?) of us Americans will be facing some difficulties when trying to deposit to online poker sites following that date, although it depends largely on our individual banks or favored deposit methods. There is a lot up in the air, obviously, and I resisted trying to predict too specifically what might happen a week from now. I’ve had the chance recently to do some additional writing for another U.K.-based publication as well, including book reviews and a regular “U.S. 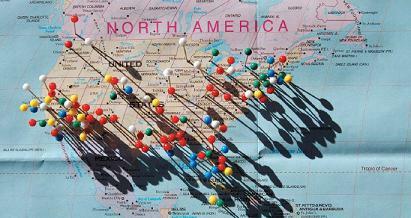 Report” on what’s been happening Stateside poker-wise. As with writing for Betfair, it can be interesting -- and a little challenging -- to think about how to report U.S. news to a non-U.S. audience. I’m finding that in the “U.S. 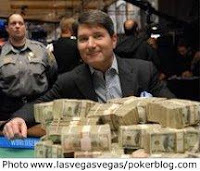 Report” I’m usually gravitating toward three areas in my rundown of what’s been going on -- tourney stuff (the professional circuit), legal stuff (both state and federal), and poker on TV (the “mainstreaming” of poker). The tourneys grind on, with some interesting trends developing with regard to buy-ins and entrants. The legal news is always a mix of good news and bad news with regard to particular states, with the online crowd all nervously eyeing December 1. And the various poker shows and other TV appearances by poker players all amount to good publicity on the whole, it seems. Looking at it all from the outside, though, I’d say poker’s status in the United States is as confused and paradoxical as it has ever been. Never more popular, really, but never more contentious either. Finally, I’ve been doing some outlining and character sketches for a second hard-boiled novel. It is not a sequel to Same Difference, although I’ve had a couple of readers tell me they’d read another one featuring my detective character who narrates that one, the story of which is set in 1976 New York City and has nothing at all to do with poker. Instead, I have a new set of characters in mind, and am thinking of a different period and setting altogether. And no, I’m not really planning to include any poker in this new one, either, although things could change. Found out late last week I had overlooked one small step in the publishing process for Same Difference, thus delaying its getting distributed over on Amazon and other outlets. Was a little frustrating, but no biggie, really. Looks like it’ll be Dec. or Jan., now, before the book starts popping up elsewhere. I can wait. The novel is currently available over on Lulu. Click here to get to the book’s Lulu page, which includes a synopsis and a preview of the first few pages. I started a Facebook page for Same Difference, but haven’t added much to it as yet. I’m thinking perhaps down the road of adding links to reviews or any other fun stuff that might come from folks reading the book. That would also be a place where people could leave comments, too. ’Cos, you know, feedback is always welcome. Our buds Special K and Falstaff have a new podcast, peoples. It’s called the Gambling Tales Podcast and Episode No. 1 is now available. 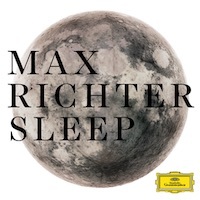 I’ve been up to my eyeballs with work, but am going to be listening to this sucker (finally) in the car this morning. I’m reading that there is some November Nine talk in there -- some pre-final table predictions, I believe, so we can listen and admire their accuracy, or goof on their folly. There’s a tale about the origins of gambling. And there’s a conversation with Bad Blood. Check it out! 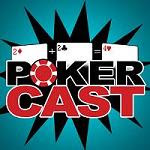 Speaking of podcasts, one of my favorites is still the Two Plus Two Pokercast, which remains one of the most consistently good ones for news, interviews, and the occasional strategy stuff. 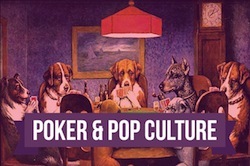 Of course, I’ve been a fan of Mike Johnson and Adam Schwartz (the hosts) since their earlier show -- called Rounders, the Poker Show -- which they began way back in the spring of 2005. That one followed a similar format at the TwoPlusTwo show, other than usually running about an hour or so (if I recall) rather than the two-plus hours they normally go with this one. The TwoPlusTwo show began in January 2008, and is now approaching its 100th episode. A regular feature of the show is something called the “Sklansky Minute” in which the highly regarded poker author, David Sklansky, offers strategy advice, theoretical broodings on human behavior, or perhaps a Zen koan. And so forth. Those of you who have heard the segments are familiar with the Sklansky’s very deliberate, almost cautious-sounding style of speech. Not sure if he reads from a script or not, but the effect is the same regardless. 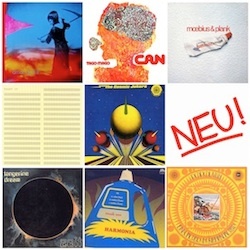 Anyhow, I had sort of a strange association come to me as I was listening to a recent Sklansky Minute, one which actually might help explain the “Zen koan”-like feel the segments sometimes have for me. 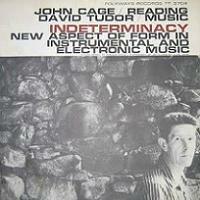 While listening I was contemplating how there must be 60 or 70 of these little segments by now, and suddenly I found myself thinking of the avant-garde composer John Cage, in particular his work Indeterminacy, a Folkways recording of which was made (with David Tudor) in 1959. The work has a long, interesting history which I’m not going to rehearse here. If you are curious, you can check out the website “About Indeterminacy” for more. 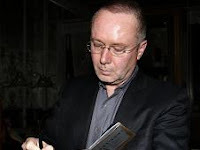 The work is structured around a series of very short anecdotes or stories or musings or what have you that Cage wrote. On the recording, he reads 90 of them, while David Tudor provides random musical accompaniment on the piano (and various other noise-makers). As I say, a few more weeks and Sklansky probably will have 90 of his “Minutes” to string together. Perhaps he should hire Tommy Angelo to provide musical accompaniment and make his own avant-garde recording? Raise. Stack. Own. Rebrand. Try Again. Vera and I do have a satellite dish and a hi-def teevee, but subscribe to the least expensive package available. So while we still get several dozen channels more than we need, we don’t get a few we occasionally want, including Fox Sports Net. Meaning I haven’t had the chance as of yet to see that Poker2Nite show hosted by Scott Huff and Joe Sebok which premiered last night. As a longtime fan of the various podcasts produced by those two over the last three-plus years, I’m looking forward to seeing the show. I understand that UltimateBet -- the online poker site that signed Sebok as both a sponsored pro and a “media and operations consultant” back in September -- is the “presenting sponsor” for the show. Indeed, I believe episodes can be viewed over on the online site’s website, though I haven’t explored that yet. As was the case when UltimateBet merged with Absolute Poker on the Cereus Network back in July 2008, itself a kind of “rebranding,” all of the new slogans and messages bear the burdensome weight of that legacy of four-and-a-half years during which some players were playing against opponents who could see their hole cards -- i.e., the most massive cheating scandal in the short history of online poker. So forgive me a little chuckle when reading the explanation of the new slogan “Raise. Stack. Own.” on the UB blog: “I will raise you. I will stack you. I will own you. -- This is how winning players approach the game, no mercy.” Can’t say hearing the site say “I will stack you. I will own you” really encourages me to come back. Neither does the site’s continued lack of response to my requests regarding hand histories. Three weeks passed with no response, so I replied to the email I’d been sent. It was returned as undeliverable. I’m thinking that when the fellow said “ASAP” he might have been calling me a sap. I griped a little at the time on Twitter about once again having appeared to hit a dead end in the quest for my hand histories. And to Sebok’s credit he responded to my whimpering, saying he was glad to hear about the problem and was doing what he could to get UB to be more responsive to these things. He also mentioned, though, that he had come to realize his efforts in that regard were going to take him longer than he’d originally hoped they would. As I’ve said before here, I’ve got all kinds of respect for the Cub. I do worry, though, that when it comes to this business of fixing UB, you be running the risk of being rebranded yourself. Just Conjecturin’, Part 5: If a Forrest is Silent, Does That Mean There Aren't Any Trees? You might have heard -- the 2009 World Series of Poker Main Event champion Joe Cada appeared as a guest on “The Late Show with David Letterman” last night. Kind of a coup for the WSOP and poker in general, really. And PokerStars, with whom Cada has signed. Stars sent out a presser yesterday noting that “Cada is the first poker player to be on the show since 2004.” Not sure, but I think the reference might be to Annie Duke having been on the show after winning the Tournament of Champions as well as a bracelet in the $2,000 Omaha Hi-Lo Split event that year. I know Chris Moneymaker appeared on Letterman’s show in June 2003 -- following his Main Event victory, but prior to its airing on ESPN (and thus, really, before the resulting “boom”). You’ll recall how last year WSOP Director of Corporate Communications Seth Palansky noted that efforts to get players from the November Nine to appear on “The Tonight Show with Jay Leno” and “Ellen” had been unsuccessful. So you know folks like Palansky and others are proud -- justly -- to see Cada accept the invite and this moment in the spotlight. The interview itself came in the second half-hour, following a monologue with a lot of Sarah Palin jokes (she was just on “Oprah,” apparently), the Top Ten Signs Your NFL Team Owner Is Nuts, and a couple of segments with Penelope Cruz. Finally, Cada was introduced, taking his seat as Paul Schaffer and the CBS Orchestra banged out the chorus to Lady Gaga’s “Poker Face” (surprise). Cada was wearing a spiffy black shirt and sporting his new WSOP Main Event bracelet, about which Letterman asked his first question. “Yeah, that’s what you get when you win it,” said Cada, still grinning. He’ll probably be that way for a while. Letterman’s questions demonstrated some familiarity with the WSOP, with poker’s increased popularity and changing status in the culture, and even his understanding of backing deals and other aspects of professional poker. Cada was asked what was the most he’d lost playing poker. “In a day?” Cada replied, and Letterman chuckled. The answer to that was $100,000, which Cada said had happened since July (after he’d already earned the $1.2 million-plus for making the final nine). Before that, his worst day was a $40,000 loss. But Cada explained he’d never lost more than he could afford. “It’s not like I’m in over my head,” he said. Letterman asked more questions about how the WSOP and the Main Event worked, which Cada did a good job explaining, as well as about the mental and physical exhaustion caused by the ME and the “atmosphere” at the final table. The only real comedy came when Letterman addressed how poker’s cultural status has changed of late from a sketchy pursuit to a more respectable activity. Cada was circumspect when Letterman inquired about backing arrangements and whether he had to split his winnings with anyone. “Something along those lines,” said Cada, perhaps prudently avoiding sharing details of his arrangement with Cliff “JohnnyBax” Josephy, who reportedly had at least 50% of Cada’s action for the ME. “That’s where the rental car comes in,” Letterman cracked. And that was it. Less than five minutes, but as I say, a coup of sorts for the WSOP and for poker. And Cada should be commended for conducting himself well and taking on the daunting responsibility of trying to represent poker to the rest of the world. Sort of stuff looks a lot easier than it is -- getting interviewed in front of a sizable studio audience and before an audience of millions. If you think about it, that test last week in which Cada had to perform before the crowd at the Penn & Teller Theater at the Rio -- and the ESPN cameras -- probably didn’t hurt as a kind of preparation. Of course, last night Cada couldn’t really rely on getting lucky to do well. Sort of like how New England did versus Indianapolis Sunday night, much to my dismay after having picked the Pats in Dr. Pauly’s Pub Pool. Criminy! Speaking of wins turned into losses, I had kind of a rough session of pot-limit Omaha on Saturday (six-handed, $25 maximum buy-in). Started especially well, and I was up nearly two buy-ins, then hit a bad stretch where I’d fallen back to even, then into the red, then even farther into the deeper, bloodier red after a couple more hard luck hands. On my way down, I had not one but two of those hands in which the money had gotten all in on the turn, a river card came, and I was genuinely surprised to see the chips sliding my opponent’s way. Not because of any hubris regarding my invincibility -- how could I lose?! -- but rather, in the split-second swiftness of the online game, I hadn’t been able to read the board quickly enough to anticipate my having lost the pot. There should be a name for such a hand. Not necessarily talking about a “bad beat,” although this sort of hand can be that, too. What I’m talking about is that (hopefully) somewhat rare phenomenon of getting to the end of a hand and not realizing until after the dealer (virtual or otherwise) is sending the chips in the other direction that one has lost. Perhaps you have turned an ace-high spade flush, you and your opponent push all in, and you see he has a lesser flush. Then the river brings what looks like a harmless fourth spade. You smile, anticipating a nice profit. Then -- after having mentally registered a win and experienced the pleasure that results -- you notice that river gave your foe a straight flush. You wince. Criminy! It’s like you’ve lost the hand twice or something. To describe just one of my two examples from Saturday, I was sitting in the cutoff with $48.60. The player in the big blind, Fisherman, was one of those can’t-wait-to-gamble types you see at the PLO tables now and again. Especially on the weekends, it seems. Very loose, and apparently not too aware that, say, flopping two pair ain’t always the bee’s knees. He’d already lost two buy-ins in short order, and here, on his third try, had developed a bit more patience, lasting several orbits and sitting with $26.40 when the hand began. There had been one limper and I limped as well with . A raise was probably in order there, but I actually was looking to play hands in position versus Fisherman, and since he seemed to have learned how to fold from the blinds, I wanted to make sure he’d stick around for the flop. The others folded to Fisherman who checked, and so three of us saw the flop come . Nice flop, that. Fit my hand like a glove. It checked to me and I bet the pot, then Fisherman check-raised to $3.40 total. The third player folded and I just called. I figured Fisherman either for the same straight, or perhaps a set (or even two pair). If the turn is safe, I thought, I’ll push then. The turn was the . I still held the nuts. Fisherman quickly bet the pot ($7.30), I raised pot, and Fisherman called with his remaining chips. Our hands were revealed, and he had . First thought was, well, damn, we have essentially the same hand. Next instinct was to check his hand for spades, and when I saw he was not on the flush draw, I relaxed. Stupidly. The river brought the , and when I expected the pot to be split, I sadly -- and somewhat confusedly -- watched as all of the chips moved in his direction. What gives? Then I realized, Fisherman had a full house -- jacks full of tens. The Two Dimes calculator was down this morning, so I ran the sucker through the one over at Card Player. 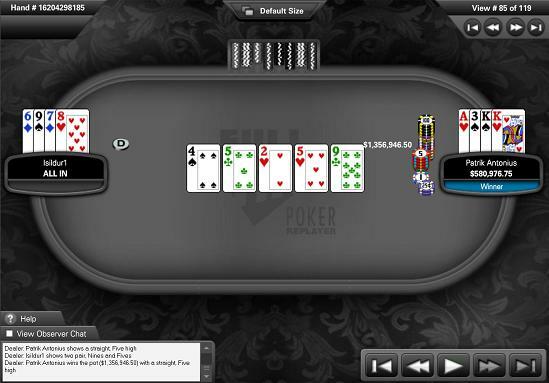 On that flop, we were nearly 94% to tie, and in fact I had a slight advantage with my backdoor flush possibility. After the turn, we were exactly 92.5% to tie, and he had three outs to win (the case jack, or one of the two remaining tens). The online game moves quickly, of course, and I did have two tables up. So it is understandable how I’d failed to see the faint possibility he could steal my half of the pot from me on the river. Indeed, this sort of situation probably occurs much more online than live, although it can happen live, too -- especially in Omaha -- where a person who thinks he’s won has to be shown he has not. Not nearly as bad as misreading a hand partway through and thus mistakenly committing chips while way behind or drawing dead (oof, thought I had a straight, and I only had ten-high!). But still, there’s a special sort of pain there, thinking you’ve won (or split, in this case), then realizing you haven’t. So what do we call this sort of hand? The Bummer? The Blind Spot? The Letdown? 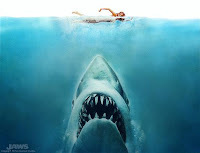 Or how about a Jaws hand? Indeed, think of the movie -- one example after another of dramatic irony, there. The swimmer thinks it’s just a harmless, fun, recreational activity she’s pursuing. But the audience knows better. Maybe we can even make an acronym out of it? Judged A Win, Stupidly? I can think of another good reason to call it a Jaws hand. It bites. The rest of Cada’s message is a bit difficult to parse, but he appears to be both acknowledging his having been the beneficiary of some good cards on his way to winning the Main Event while defending himself as a skillful player who made some good decisions, too. Like I said, a bit difficult to parse. More than a bit, actually. “Some may not understand this but oh well,” adds Cada. Not sure if he’s referring to the play or the way he’s described it. The post generated many responses, with some congratulating Cada for his win while others took it as bait to issue further challenges regarding Cada’s poker playing ability. The responses are somewhat interesting, I guess, but more intriguing to me is the fact that Cada felt the need to defend himself at all. His post obviously responds to other threads and reactions to last week’s final table, particularly those that characterized Cada and his opponent Darvin Moon as somehow undeserving of having landed the top two spots in poker’s biggest tourney. The thread made me think of something I’d heard on the Casino City Gang podcast late last week. Have been enjoying that weekly show -- hosted by Vin Narayanan, Gary Trask, and Dan Igo -- quite a bit. In this most recent episode (the 11/12/09) episode, the trio shared reactions to the November Nine. Toward the end of the discussion, Trask noted how disappointing it was that so few of the top pros -- many of whom had been there on Saturday -- did not come back to the Penn & Teller Theater on Monday night for the heads-up portion. Speaking of good writers, I just finished Vicky Coren’s For Richer, For Poorer: A Love Affair with Poker this weekend, and it is absolutely terrific. Very smart, witty, even “literary.” I plan to say more about the book here eventually, but I will share one passage she includes about poker players and “schadenfreude” -- that weird, German-derived word that refers to our tendency to derive pleasure from others’ misfortune. “God, I love them,” Coren adds, a kind of winking punchline to the discussion. And really, you have to. ’Cos that’s how people -- especially poker players -- are, for the most part. 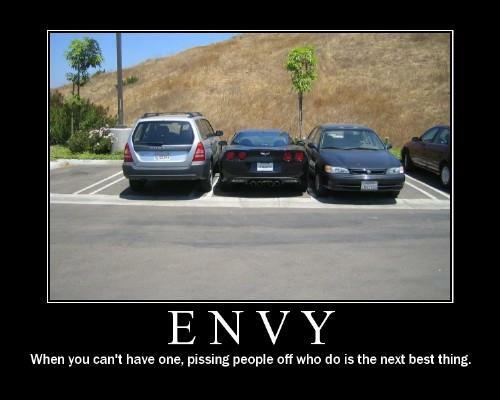 So all you winners out there, don’t expect everyone else to rejoice in yr triumphs.